Mel Watt: A New Captain For America's Housing Market The Senate this week pushed through the nomination of Democrat Mel Watt to head the Federal Housing Finance Agency. 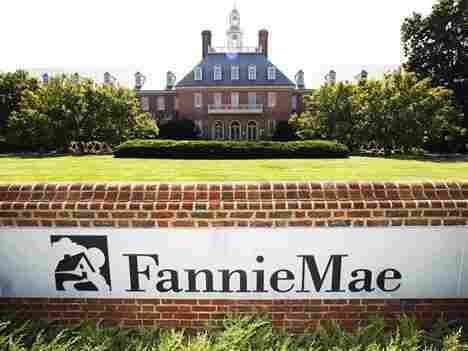 The FHFA controls Fannie Mae and Freddie Mac. Watt replaces an official who was a thorn in the side of Democrats, and the move changes the landscape of housing finance reform. Rep. Mel Watt, D-N.C., listens as President Obama announces his nomination to head the Federal Housing Finance Agency. Watt was nominated in May, but Republicans blocked his confirmation until this week. 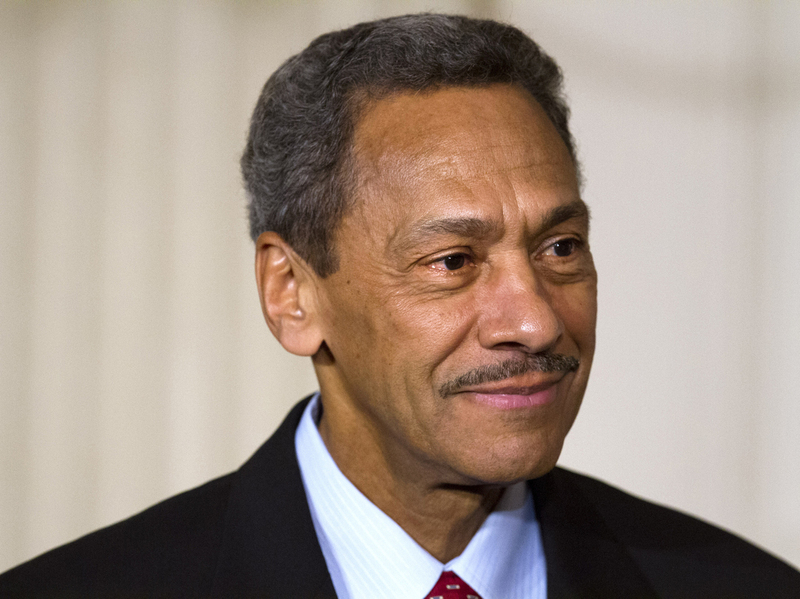 Seven months after his was nominated, the U.S. Senate this week confirmed former Rep. Mel Watt, D-N.C., to head the agency that oversees Fannie Mae and Freddie Mac, the giant companies that control much of the mortgage market. The vote occurred after Democrats changed the rules on filibusters — now the Senate can confirm presidential nominees with a simple majority. For people who watch the U.S. housing market, Watt's confirmation is a very big deal that could mean easier credit. Most Americans probably don't realize that these two hugely important companies, Fannie and Freddie, are actually controlled by a bureaucrat in a little office in Washington. That one bureaucrat has a lot of influence when it comes to the housing market. Watt will now be heading up the FHFA. Most Americans probably couldn't tell you what that acronym stands for. It's the Federal Housing Finance Agency. It controls Fannie and Freddie. And that means it controls a lot. More than 90 percent of all new mortgages in the United States flow through Fannie and Freddie (and the Federal Housing Administration). So these companies are vital. They control that massive river of money flowing into mortgages. They get to decide who qualifies to buy a house or refinance and who doesn't. They oversee hundreds of billions of dollars in mortgage investments. Every major decision Fannie and Freddie make has to be approved by the head of the FHFA — soon to be Watt. Fannie and Freddie used to be big quasi-private companies with chief executive officers and shareholders who held stock in the companies. But then the housing market collapsed, and Fannie and Freddie needed a $200 billion bailout. Congress gave them punishing terms under the bailout that made the companies wards of the state. The government essentially took them over and their CEOs are controlled by the FHFA chief. Edward DeMarco, the official who has been in charge of the FHFA, has been controversial. He locked horns with the Obama administration. The administration wanted to use Fannie and Freddie to help more Americans refinance after millions of them were stuck in high-interest-rate mortgages. Democrats said letting those homeowners refinance would help stimulate the economy. DeMarco was seen as dragging his feet or outright blocking some of those efforts. Analysts say Watt is likely to have a different approach. Policy analysts say that getting Watt confirmed was a key development for Democrats if they want a strong hand in crafting the future of the mortgage finance system. Watt's confirmation flips the leverage to favor Democrats instead of Republicans, the analysts say. One example: DeMarco was starting to wind down Fannie and Freddie and tighten credit. Watt is expected to keep the money flowing more freely to the mortgage market. And that could give Democrats more time and leverage to push through reforms that they want. Watt might also be more open to expanded initiatives to help homeowners who are struggling to make their mortgage payments.